I think this could really help the entrepreneur that is just stuck, needs motivation and help with that next step! Come & Join Adam Markel and Bill Walsh at a very special entrepreneur night being held in Las Vegas at 6:30PM on Thursday, November 21st at the Trump Hotel. When you attend this event you will have the opportunity to learn about how to break through your biggest challenges and discover specifically what it takes to launch and build a successful company in today’s global economy. See you at the event, you won’t want to miss this! SOME MUST READ ARTICLES TO BENEFIT YOUR ONLINE BUSINESS. The Internet has created a new economy, which by its rapid growth has changed our perception of traditional ways of doing business. Just a few years ago traditional brick-and-mortar companies were kings. However, in order to be successful on the net, you don’t have to be a giant like Amazon or EBay. Many small and mid-size companies managed to build online businesses quite profitably. 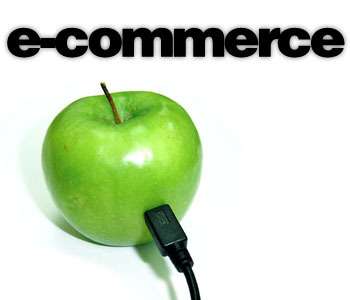 In fact, studies show small and mid-size companies will be the main growth force of e-commerce in coming years. Whether you sell products or services online or not, in today’s world you have to have a complete presence on the Internet. Otherwise, as you must have noticed that people simply don’t take your business seriously. And you lose a customer; you have .7 seconds to capture a viewer. You can’t afford to lose 1000 of customers/ viewers monthly because of your lack of online presence. New technologies allow you to take virtually any part of your business online. That includes supply chain management, billing, shipping, procurement etc. Streamlining these business processes through online systems will allow companies to cut costs significantly in almost every sphere of any business. For example: companies can reduce more than 5% of their maintenance, repair and operation costs by adopting e-business solutions. This five percent savings can turn into 50% of a company’s net profit! This is only one of the many advantages of an online business. Then there is the obvious, it’s operating 24 hours, and how else can you make sales while sleeping, and do it GLOBAL, WOW………. Building a website can require big investments. But there are many low cost tools available today. For a complete top-of-line online presence I’d suggest MOPRO, they do everything from building the site using the most advance platform, mobile/ tablet compatibility similar to a mobile company app. High definition video of your company’s story (an online infomercial) 50 high resolution photos of your venue. E-commerce, complete store, real time apt booking, calendar, mobile alerts, all social media marking, promotions/ coupons, easy to edit dash board, 24 hour guaranteed support, free add-ons and technical upgrades, all business analytics, search engine optimization and even more, all for only one easy monthly payment of $199. You wont find a better price point for everything Mopro offers. And to officially run a successful business online you will eventually need everything Mopro offers which will get expensive hiring 3rd parties for each online necessity. Its simple save money doing it right the first time do it with Mopro. A MUST KNOW: 81% of small businesses that have an online presence during last year’s holiday season reached new customers, leading to an increase in sales and profitability according to a survey conducted by Harris Interactive. Thirty percent of small businesses with a web presence and fewer than 20 employees now generate more than 25% of their revenue online claims Gartner research. The slick GQ Business man, losses business credibility! WHY??? Your website represents YOU. It is the online version of your office/venue. The place people go when they want to do business with you. Its NOT enough these days to just have a website or even just have a good website. Today people expect your website will match their perception of you and your business. Imagine meeting a well-suited slick man at a local networking event. 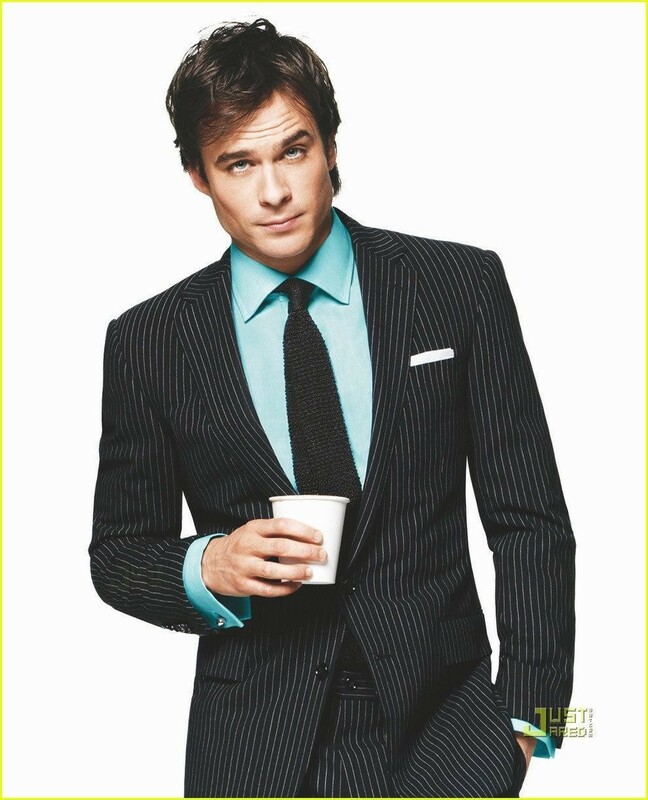 He looks like he was pulled from a recent spread in GQ. He is social, and easy to talk to when he introduces himself. He tells you with authority he helps business owners triple their income, then smiles with confidence. 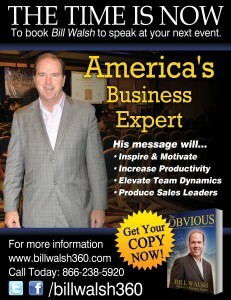 You also hear from someone else he is a successful business consultant. You are impressed. Before leaving he makes sure to hand you his business card (also fancy, unique, impressive in itself) and invites you to his office for a meeting. You think an opportunity to grow business is worth a meeting. So you go to the meeting, except the office is hard to find. You drive around for 20 minutes in circles, frustrated before finally arriving at the building. The building looks more like a broken-down warehouse, located in a scary neighborhood, an area you double check locked doors, and don’t want to leave the car for long. The office is a small-congested space, paper everywhere, and to top it off it smells like dirty socks. Will you still do business with this guy? You may but you may also feel a major disconnect to his reputation and also to his business. If your website its up to par, easy to use, professional, this is the same disconnect your customer will feel with you. Today there are endless choices and people don’t have the patience for bad websites. Think about it, how long did u stay on a website you were unsure about? According to Canadian researchers, web users form first impressions in as little as fifty milliseconds. In the blink of an eye we decide to keep looking or go back. This is why good enough IS NOT good enough anymore. You HAVE to have a great website. If you don’t have a great website check out sample sites MOPRO has done @ www.mopro.com click the “our work” tab, hope we can help! A great “BOD” is the framework in Social Media Marketing!!! This may not seem important, in Social Media marketing, but in fact it is the framework you absolutely must have to attract people to your product or service!! What is it? A GREAT BOD!!!!! *BRAND- If your brand is summed up in few words what would it be? Ex. Our Company is Mopro; best summed up in few words as “Full Service” We constantly aim to provide our clients with anything they need relating to digital media. *Outcome- what’s the outcome you help clients achieve? The final results, sum it up in one line. Ex. Mopro helps businesses grow more revenue by leveraging the Internet. *Differentiator- what makes you inherently different from your competitors? Ex. Mopro creates original content. We take high resolution photos, of your product/ venue, your store, e-commers, mobile optimization, SEO, website, social media, promotions, e-list, and even more, but what differentiates us from other digital media company’s in our team available 24-7, and we send a professional team to you to shoot a high definition video telling your customers who you are, your businesses story. We aim to build a trusting relationship between the customer and owner. People want to know and trust whom they do business with! So, your differentiator, in other words, is simply what makes you stand out! I am passionate and believe in what I do. That is why I take a lot of time to write/blog hoping to educate people on what I believe is thefastest evolving industry. When properly understood the potential for growth in any business is endless. If you don’t have a business and are not an entrepreneur, please help someone who is by sharing the information I have written below! I took a lot of time to write this so please take a second to read it. It could help you or someone you care about. ENJOY! No longer is the most common question I get about my nationality, but people are always asking me what Mopro is! We do far more than just create incredible HTML5 website. The Internet has been popular since the mid 1990s, but with so many mobile devices out there, more people are accessing the net than ever before! This sudden surge in connectivity has created INCREDIBLE opportunities for Small Businesses to develop, grow, and compete with any other business big or small. Everyday more and more of your businesses revenue should be coming from online customers. Whether online marketing, traffic, online shopper, social media, promotion; someone searching for your contact information or even looking for directions, everyone is online trying to FIND YOUR BUSINESS. Technology is advancing at such a fast rate! People, especially your typical business owners, who have little to no time, CAN’T KEEP UP!!! Well, that’s our job!! We are a technical team full of graphic designers, programmers, marketers, search engine optimization (SEO) specialist, social media stars, and digital dreamers assembled to create, develop, and grow your complete online business. Now if your up to date with the business trends and news, you should know most of your revenue should be coming from online traffic. For example, if you’re visiting a city and looking for a local Mexican restaurant, when was the last time u phoned a friend? Why would you when most of us can use our smartphones, and in a matter of seconds pull up any Mexican restaurant in your current location! Now if the business website has mobile compatibility the viewer can instantly use the “call button” to make or check reservations/availability. Then simply use the “get directions” button and your smartphones navigation will take you straight to the restaurant you desire. Yeah It’s that EASY! BUT WAIT…. Did u know that 90% of people who have websites do not have them set up for mobile capability? Well, there go’s that customer. Big bummer your website should have been set up for mobile compatibility…… Did you also know that small mom and pop restaurants in any town, have an estimated Google search average of 1000 search results monthly? What that means is 90% of people with websites that are not setup for smartphone users (mobile compatibility), lose 1000 potential customers!!! Basically 1000 people that walked by your front door, DID NOT come in!!! Can you afford not to attract at least 1000 new customers a month? This go’s for salons, med spas, tattoo parlors, dentist, doctors etc. According to Google, restaurants and salons are the two most searched for businesses on the web. Social Media is accessible to anyone with Internet, and has the ability to make the world smaller. You can now reach out to potential customers across the world, which don’t know your product/venue even exists. Everyday, you can post updates about services, special offers, customer feedback, and appointment openings; all for FREE. Entrepreneurs and SMALL BUSINESSES are getting a “leg up” from social media around the world. 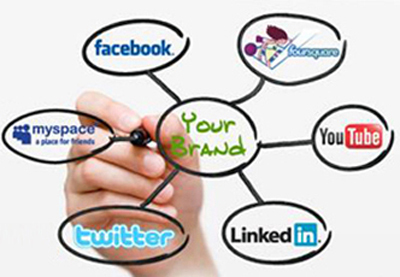 Social Media is one more online tool that allows small businesses to compete with larger businesses and corporations! That being said, Mopro has created an easy to use website dash-board that links ALL YOUR SOCIAL MEDIA SITES TOGETHER, saving you hours of time, and still reaching MILLIONS in seconds. Mopro has also created suggested daily post, or you can schedule an automatic post daily! For example, if you have “Happy Hour” everyday, you can set up a daily post that looks like this. A post like this can automatically be posted to all your social media at 2:00 Monday-Friday, by pre programing it from your websites easy to use dash-board….WOW that’s Fantastic! Believe it or not I HAVEN’T shared what truly makes Mopro unique. Now for the exciting stuff!! The business world is almost completely consumed by the online world, that’s great!! But what’s missing online? Most people say, a relationship between the consumer and the business, I agree! Well Mopro has created a way to tell your personal business story online, creating that missing relationship! What drives you? Why did you decide to create the business you have? What makes your business the best/better than your competitors? What feeling will someone experience the first time they visiting your venue? These questions are all important to your customers. People want to support you, when they know who you are! Consumers want to know where they are purchasing from, that you are real, and offer true value. Mopro sends a highly trained production team out to your location. They film, edit and produce a high definition video of your story. We want to capture who YOU are, and where the passion for what you do comes from; that is “your story”. This is not a sales pitch video. This video will build that personal relationship between you and the customer that most online businesses don’t offer! I have your answer, Mopro! Mopro can do all of this, and even more for your business. With Mopro you have your own team of digital SUPERHEROS! We are available 24-7 with a dedicated technical team. After becoming a part of the Mopro family, we personally set up a time every month to touch base with you, making sure you are a happy customer. A++ for customer service! If you have any questions or want me to get into further details about Mopro and everything it offers. Contact me at nadia.easterling@mopro.com also check out our website at www.mopro.com to view some of our work and the other needed features we offer. Thank you for reading my blog! Facts that you need to know to GROW your Business!! I promise you need to know these…..
READ…. RE-READ… then READ AGIN! Love it, Live it, APPLIY IT! 60% consumer says the integration of social media makes them more likely to share. 108 million: Number of Chinese viewers of mobile video. More than 5 Million photos uploaded every day on Instagram and 4 billon shared since beginning. Remember a picture says a1000 words!! I can help create, develop, build, and grow your complete Business online… You create your business, I create and grow your business online. Let me help you!! Check out this link. You will be educated on how to spot SEO companies trying to take advantage of, or rip you off. PLEASE BE AWARE AND DON’T LET THIS HAPPEN TO YOU!